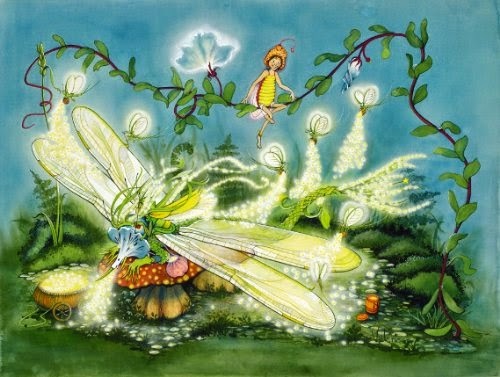 In the beauty of nature’s realm exotic, magical creatures, wearing incredible costumes, enact the opposing philosophies; “peace, harmony and cooperation” and “might makes right.” Willo Mancifoot, a dragonfly-like creature and his friends have light. The Mugga Killa Whomps do not. A conflict arises when the Mugga Killa Whomps kidnap the Light Wings. You will enjoy the creative nonviolent solution and delight in the inspiration of this exceptional tale. Willo Mancifoot, written in the tradition of high fantasy, has rich, sensuous visual imagery, verbal humor, important selection of words and choices of characters’ names, concern with a universal theme that appeals to all ages and the inclusion of several layers of meaning the reader may recall at a later time. And as in all “good” children’s fantasy, the story holds the adult’s attention as well as that of the child’s. Valerie is an author, illustrator, publisher and has been expressing her inner voice of conscience and humor over 40 years. 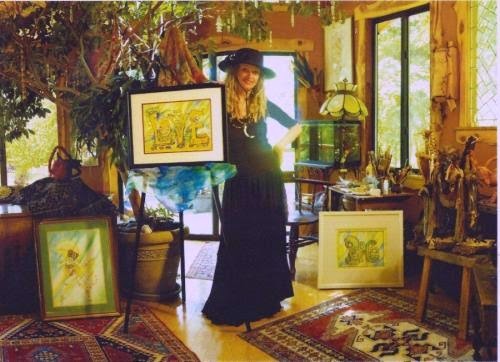 The BFA, teaching degree, Hallmark artist left corporate America in 1973 and founded Star Publications with her husband Dave. They created children’s books, teacher’s guides and related products that made a difference while raising three children. A series of teapots, ceremonial presentations of water, began in the 1990’s to bring a sense of reverence to water. Her character dolls are varied in personalities, species and media. Her clay Fleeker Houses (circa 1976) have influenced generations of art students toward a future thinking mindset and ecological responsibility. 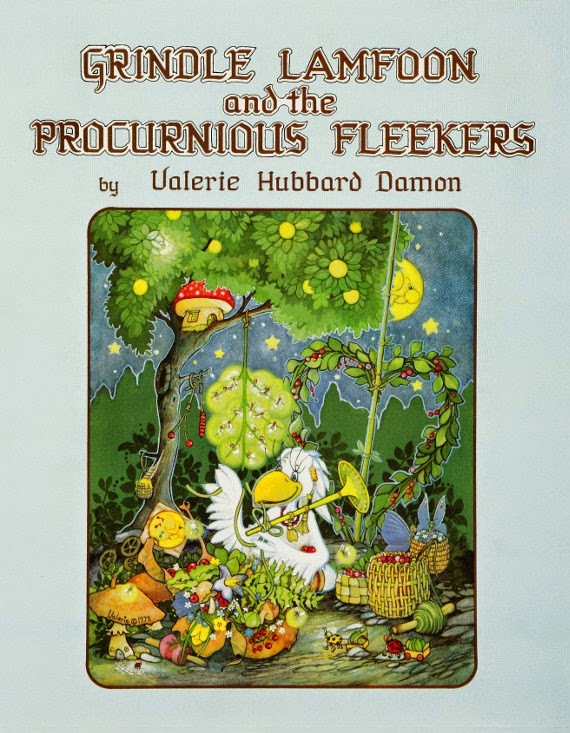 She created the Fleekers, a bird family in her first book, Grindle Lamfoon and the Procurnious Fleekers. Fleeker thinking is creative thinking that is in tune with nature. Valerie’s body art of face painting and costuming transcend to yet another world. Valerie is represented at Iris at the Basin Park, Serendipity at the Crescent, Keels Creek Winery and Eurekan Art in Eureka Spring, AR. I happened upon this book when the gang and I went to the Books in Bloom Literary Festival down in Eureka Springs, Arkansas. After attending the festival, we decided to browse the shops downtown and stumbled upon this adorable shop with the most whimsical souvenirs, and lying in the front was this book. After observing the gorgeous illustrations and reading some of the poetry, I knew I had to find myself a copy! I also purchased one for my BFF (who was part of the BBLF gang), and she loves it! A land both small and grand. Willo Mancifoot and his friends live in light, while the Mugga Killa Whomps live in darkness. The Mugga Killa Whomps want the light, but instead of trying to obtain it peacefully, they cause quite the ruckus for the others and disrupt Willobee Land. Damon offers a solution that inspires the reader to "Change for Light" and "Light for Change." Willo Mancifoot has all the elements of story through fantasy and morale. Damon uses the idea of light and dark to encourage readers to be the "light" in an otherwise dark world. 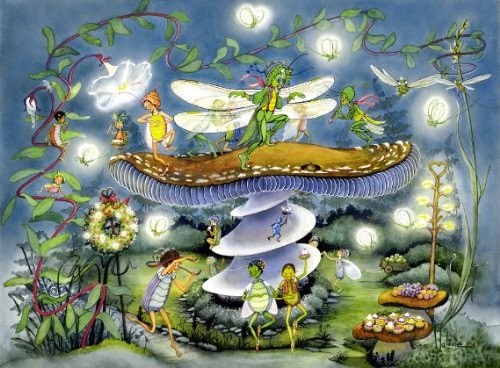 Children will enjoy the beautiful, fanciful illustrations and poetry, while adults can appreciate the symbolism and flow. The entire mood of the book is the idea of peace, love, and harmony through cooperation. Damon is also the illustrator of the book. The watercolor illustrations are my favorite part. They're esthetically pleasing for both children and adults. Through the author's Etsy shop, fans of the artwork can purchase 18"x21" paintings that were created using hundreds of layers of translucent watercolor glazes, airbrush, and a brush that comes to a one hair point. Damon also provides a Teacher's Guide for educators upon request. 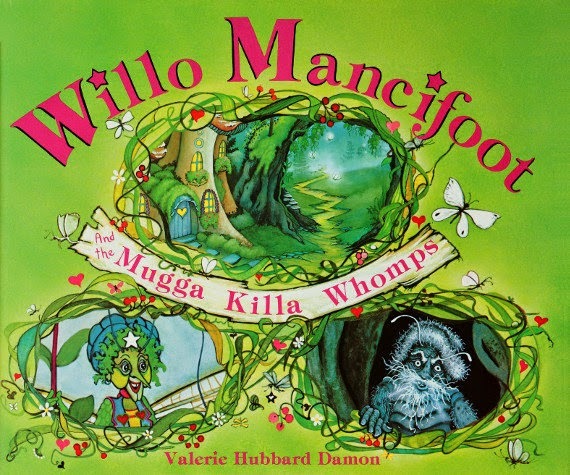 If you're looking for a whimsical adventure with poetic rhythm and a lesson that both you and your child can enjoy, then you'll enjoy Willo Mancifoot and the Mugga Killa Whomps. The illustrations will easily keep your attention! Damon has also written another book, Grindle Lamfoon and the Procurnious Fleekers, but I haven't gotten my hands on that one quite yet. If it's anything like Willo Mancifoot, then I'm sure it's fabulous. Do yourself (and your kids) a favor and give the gift of a whimsical adventure that will leave you chasing the "light" that "makes right"!